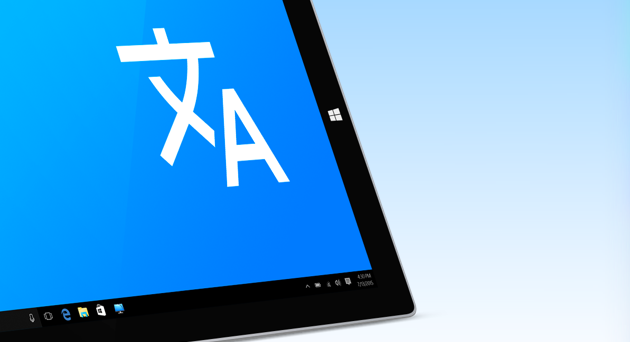 Windows has long supported multiple languages and Windows 10 is no exception. Adding new languages is straightforward and if you need to use different languages simultaneously, you can set one language for Settings and File Explorer while using the keyboard, apps, and websites in another language. Removing languages should be straightforward too, but sometimes problems occur, like when you install an upgrade to Windows 10 and find that when you go to Settings to remove a language, it’s grayed out. In those circumstances, to get rid of a display language, for example, you’ll need to force remove the language pack. That’s a little more tricky, but we’ll take you through it step by step and even show you a neat trick that makes it much easier. First of all, let's check if a default way of removing languages on Windows works for you. The language pack for that language pack will now be removed. If the Remove option for the language you want to get rid of isn’t available or is grayed out, you should try other ways of language removal. PowerShell is a scripting language used to perform certain tasks. There are cases when you can't do something with the help of Windows interface, but you can do it with several strings of PowerShell code. For example, there is a way toremove Windows store apps with PowerShell, as long as you can't do it with Add or Remove option. 7. Type the following, pressing Enter at the end of each line. Replace “LANGUAGETAG” with the language tag you noted down in step 6. $MarkedLang = $LangList | where LanguageTag -eq "LANGUAGETAG"
You can now go to the Settings app and click on Language & Time and check to see that the language has been removed. If it hasn’t, it may be that you’ve mis-typed the commands above, so try again. Lots of people don’t like using the command line interface in PowerShell, with good reason. It looks intimidating and it allows you to access deep within Windows, meaning you could potentially mess things up. There are cases when you want to remove a language pack installed by a particular program. For example, when you install 7Zip, it goes with 86 languages. Each language file takes space, and you'll be probably using a program with only one interface language. Other extra languages can be successfully deleted with CleanMyPC. CleanMyPC is a tool that allows you to perform lots of tasks that free up disk space on your Windows computer, including a feature that removes extra language. To start working with CleanMyPC, download and install it on your computer. 5. You can remove all extra languages or choose the particular program for which you want to remove language packs. By default, CleanMyPC marks all languages other than the system language for deletion. If that’s what you want to do, you can leave it set as it is. If you want to keep some languages, click the Options button at the top of the window. Choose the General tab and check the box next to the languages you want to keep. Note that CleanMyPC will remove languages for particular programs, not the Windows system language packs. If you are sure that's what you need and you want to get extra space on your PC - then go ahead and download CleanMyPC on your computer right now.